According to several papers consulted, making economic growth compatible with climate stabilisation and sustainable environment footprint is a dual challenge of green economy. However, policies don’t pay enough attention to social dimension of sustainable development: implications for employment, training and decent work. Mainstreaming greening in employment and skills strategies requires strong partnerships between public, private and not-for-profit organisations to maximise innovation and to manage smoothly labour market transitions from brown to green energy and employment (OCDE, 2015). Technical & subject-specific competences: Vocational and technical skills based on subject-specific emerging and future viability products, technologies, legal guidelines and services, as well as driving forces and trends. Generic interdisciplinary competences: Transformative key competence: abilities to reflect, engage, change, act and shape the future. Normative visions open to reflection. Goals and value orientation linked to future Normative aspects of skills: visions, values & preferences development: responsibility, justice, solidarity, distribution, tolerance. Considering that green economy is an area with a high potential for job creation, it’s necessary to develop certain skills, knowledge and competences that ensure the transition of employment and training to this new concept. Thus, labour market actors have to define specific skills and competences that ensure the use of efficient processes and technologies and integrate them into business and community. GLOBE aims to develop and boost green skills and competences in apprentice pathways helping them to introduce these skills in the productive processes according to the principle of sustainable environmental management and ensuring successful transition to green economy. Contributing to develop the social dimension of green economy, promoting training and adapting labour market to new requirements of environmental sustainability. GLOBE project target group are apprentices, defined as (European Commission): Those who receive systematic, long-term training by combining practical work-related training at the workplace (either company- or school-based) with theoretical education in an educational institution or training centre. Gain relevant skills and knowledge on green economy. Besides the main target group, project outcome have other direct and indirect beneficiaries, that is, other collectives that could access and use the developed training resources to acquire and improve their competences for green economy students, trainers and lectures, professionals, etc.). 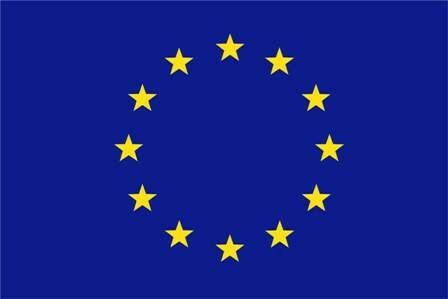 The project should be implemented in a transnational approach, because it will contribute not only to an effective development of European dimension of education, but to the promotion of other relevant European policies as: environment, eco-innovation, competitiveness and growth and sustainable development. GLOBE project duration is 24 months, staring in October 2017 and ending in September 2019. INCSMPS is a self-financed research institute that carried out more than 100 projects funded under National and International programs. Its object of activity includes: research and development in the field of social and humanist sciences, which fall into: NACE code 7320, UNESCO code 5802.01. 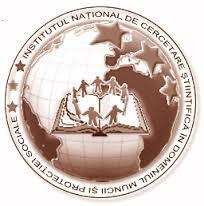 The institute’s main object of activity is to „carry out studies and research with theoretical-applicative character in areas of national interest covering human resources management, social development and social protection in Romania”. DRAMBLYS is an international non-profit socio-cultural organization of independent professionals committed to positive social change and responsible leadership.They combine sociological imagination & inquiry with social creativity and design to approach, explore, and innovate solutions to emerging social problems. The main programmes and areas of expertise includeprogramme design and evaluation, diversity management, data visualisation and social design. ASEMFO is a non-profit association (founded on 1994) aimed to represent and project the forest sector and the interests of the associated companies, and to be the valid interlocutor for the public administration and society. The association born with the objective of being the referent in environmental and forestry topics, aimed to safeguard the forest and rural heritage and to project and ensure the life quality of present and future generations. Actually, the association represents the 85% of the companies of forest services and infrastructures. Training Agency Ulisse is a cultural association particularly suited to education in mobility and vocational training; accredited by the Region of Puglia for continuing education classes, higher education and areas of disadvantage. It’s an El-Center Academy for issuing European Licence for the use of computers. 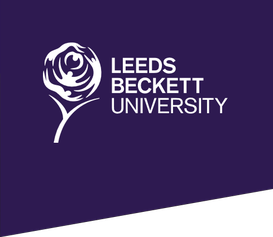 Leeds Beckett University is a higher education corporation that provides access to education for a wide range of learners, promoting cultural awareness and diversity through our curriculum. Through our partnerships with schools, colleges, further education colleges and employers, we enable those with a willingness to learn to progress to higher education and a lifetime of learning. Our University is located on two main campuses; one in Leeds city centre and one in Headingley, Leeds and offers a range of undergraduate and post-graduate courses across 13 schools. Leeds Beckett University has almost 30,000 students, 3,000 staff and 300,000 associate students through our network of 24 partner colleges. It is committed to being a catalyst for social and economic progress in and for our region, nationally and internationally, through research and enterprise.